What Foods Can Shrink a Spleen? 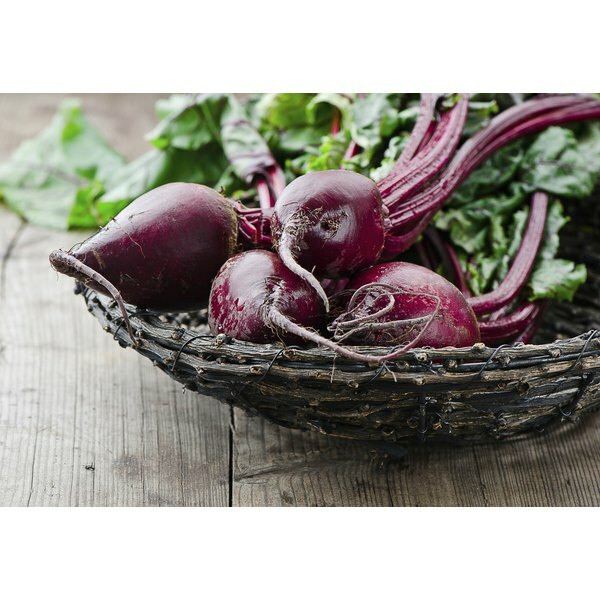 Can Beets, Carrots, Aloe Vera and Molasses Treat an Ovarian Cyst? It's not unusual to read about home remedies for medical conditions, including ovarian cysts. However, home remedies are not based on medical studies and conclusions. If you're concerned about recurring ovarian cysts, consult your doctor. If you've been told you have ovarian cysts and experience sudden and severe pain, or pain along with a fever and vomiting, you should seek immediate medical assistance. Ovarian cysts are small sacs filled with fluid that develop inside, or on the surface of, the ovaries. While most ovarian cysts produce no symptoms, some women may experience pain, pressure, abdominal discomfort and menstrual irregularities. Ovarian cysts are fairly common. Most start during the normal function of the menstrual cycle and are not cause for concern. Ovarian cysts that are not related to the function of a menstrual cycle can cause complications. Drinking a daily concoction of beets, carrots, aloe vera and molasses is merely a home remedy to cure ovarian cysts; there is no medical evidence to support claims of its effectiveness. The general treatment for ovarian cysts is to simply watch and wait. Often, cysts that start during the normal function of the menstrual cycle go away without treatment within two or three cycles. Cysts that are not related to the normal function of the menstrual cycle can rupture or grow large enough to cause serious complications. In extreme cases, surgery may be necessary to remove a problematic cyst. Taking oral contraceptives can reduce your risk of developing new cysts. While a miracle concoction likely won't cure your cysts, eating more vegetables and making healthy changes to your diet does have a positive impact on your health. According to a study published in October 2003 in the "European Journal of Obstetrics and Gynecology and Reproductive Biology," there is an association between beef and cheese consumption and ovarian cysts. The study also found that eating lots of green vegetables has a protective effect on developing cysts. If you're suffering from ovarian cysts, try to eat a balanced diet with plenty of fruits and vegetables and drink plenty of water. While beets, carrots and molasses are generally safe, ingesting aloe vera can cause potentially serious side effects. Aloe may cause cramping, diarrhea, constipation, electrolyte imbalances and low blood sugar levels. It should not be consumed by women who are pregnant or breastfeeding, according to the Memorial Sloan-Kettering Cancer Center. Oral consumption of aloe vera is associated with cancer in laboratory rats, but studies are needed to determine its potential impact on people. Can HCG Injections Cause Cancer? Does Coffee Cause Breast Lumps?